New year’s resolution-take advantage of nice weather days more often! Of course the temps took a turn after my sister Gwen left (even though we did enjoy some slight warm days as well). Sunday turned into a sun filled day that called for some much needed relaxing beach time with the family. I love the fact that we can take a short drive and enjoy the waves and sand on a regular Sunday afternoon. My outfit is of course super casual consisting of a sheer pink top with cut outs which provides a pop of color and “coverage” for my bathing suit, and my bandage skirt is easy to pull on and off in a hurry. The bathing suit top is from target and high waist bottoms are from American Apparel. 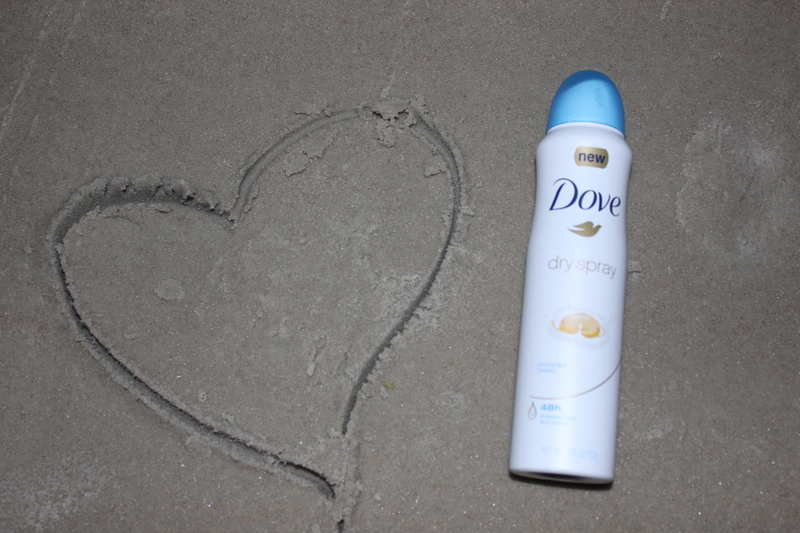 The main focus of the post is what’s in my beach bag. Keeping it minimal is a must and I brought some essentials that would suit anyone on a random beach bum day. Details and links below! Beauty Essentials! Gerard Cosmetics BBplus Illumination Facial Creme (for my cheek bone highlight, bridge of nose, cupids bow and anywhere else you need some shine!) 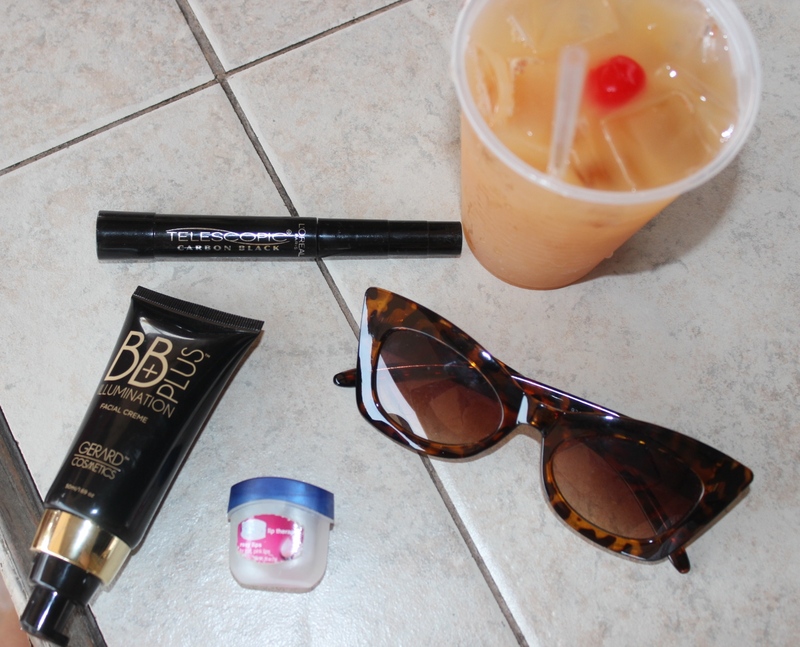 – Loreal Telescopic Carbon Black Mascara (Not water proof, but I dont swim regardless and it makes my lashes look flawless)- Vaseline (Dry lips, Dry knees, Elbows and all in between)- Sunnies + a Girly Drink! Cheers to fun in the sun! Posted in Accesories, Beach, Brands, Casual Day, Fashion, Hair, Holidays, Lipsticks, Makeup, motd, Outfit of the day, Review, Skin care	| Tagged american apparel, beach essentials, casual, cosmetics, dove dry spray deodorant, gerard cosmetics bb plus facial creme, high waist bathing suit, loreal telescopic mascara, makeup, ootd, products, review, sunnies, target, vaseline, what in my beach bag? thanks for the review on the Dove deodorant. I’m wanting to try it, let’s see if it works for me!